Local taxes – ordures menagéres or refuse collection. The most widely known local taxes that an owner or tenant of a property must pay are the taxe foncière, or land tax payable by the owner of the property and the taxe d`habitation payable by the tenant or occupant of the property. There is one more tax, however, that can vary greatly from one location to another and can be unexpectedly expensive. The third local tax is called taxe d’enlèvement des ordures ménagères (TEOM) and is the equivalent of a refuse collection fee, although it is organized in a slightly different configuration from what you may be used to. The TEOM can be included in the taxe fonciére (indicated with the letters TEOM on your bill) or can arrive in a separate bill, once or even twice a year. 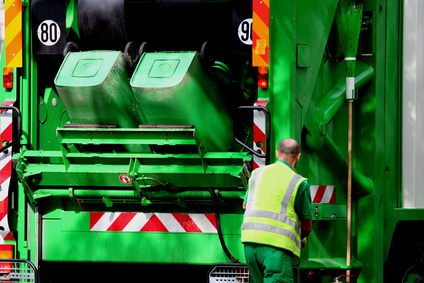 Depending on the size and organization of the village, town or city, the refuse collection can be done daily, or it can be timed weekly or even less regularly according to need and distance from the point of disposal. This TEOM fee is discretionary and the commune can decide wether to levy it directly or pay the service from the commune’s budget. While the Mairie can determine that a property is outside the perimeter of the collection area and therefore exempt from the payment, the user can’t opt out of the service unilaterally so even if you don’t want the service or won’t be using it for any reason, you’ll still have to pay for it unless the Mairie determines that you are exempted. In some cases the commune will approve a reduction from this tax for properties that are used as holiday homes, so if you find that the TEOM is expensive in your area, it may be worth checking if your holiday property qualifies for a discount. If you let out the property, you can recover the tax from the tenant adding it to the monthly rent, although as the owner of the property you remain directly liable in case of non-payment. For properties that are exonerated from the taxe foncière, the exception will also apply to the TEOM. The amount of the fee is calculated in two parts. The fixed portion is calculated in the same way as the taxe foncière on 50% of the estimated letting value of the property or valeur locative cadastrale. The variable portion is calculated according to the aggregate volume and nature of the refuse collected and can be allocated in proportion to the number of occupants of the property. As an alternative, the commune or groups of communes can choose not to go with the TEOM and collect the REOM of redevance d’enlèvement des ordures ménagères instead. The fee is calculated on the same basis as the variable part of the TEOM and can be payable to the commune or directly to the provider of the service. The objective of the REOM option is to give smaller rural villages more autonomy to find the system that best addresses their needs and an incentive to put into place local initiatives to reduce the amount of waste produced by each household or business property as the reduction in volume can immediately result in cost savings. In some cases for reasons of accessibility or distance the commune will not provide a door-to-door collection service and will provide collection points instead, so it is up to each individual user to deposit their refuse in the bins. Whatever the service provided, be it door-to-door or via collection points, in the case of large or heavy items or those materials restricted from the collection service, such as construction rubble or garden materials, you will need to take the items to one of the waste recycling centre called a déchèterie.